Today is World Suicide Prevention Day, we want to show our support and help raise awareness. International Association for Suicide Prevention have provided lots of information on how you could help support someone who may need help. Take 5: Take five minutes to reach out to someone; a family, friend or someone in your community or even a stranger. By reaching out to someone you could help save their life. Take a minuet to notice if there is something wrong with a family member, a friend or the child or young person in your care. Try reaching out to them, make a conversation, ask them if they are ok. Try to help support and guide them, let them know that they aren’t alone. Many people fear of not knowing what to say to someone who may be going through a hard time, the fear of saying something wrong or not saying enough. Talking to someone and letting them know you are there is a positive start, guide them to resources and community groups such as PAPYRUS and Samaritans. According to the International Association for Suicide Prevention, evidence shows that showing support and listening to someone with empathy are more likely methods to distress someone opposed to exacerbating it. 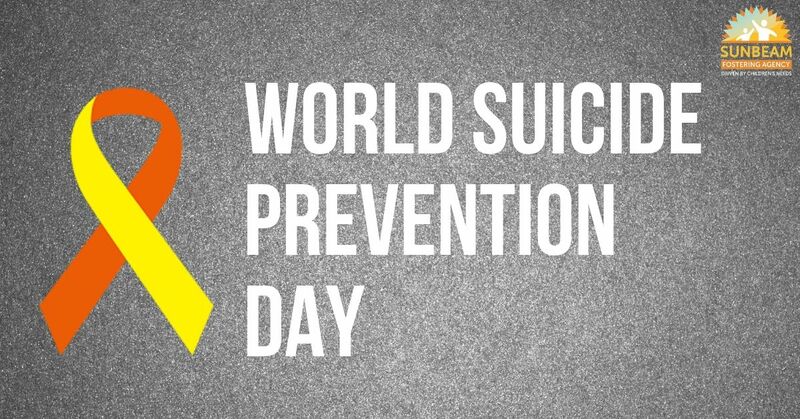 The IASP (International Association for Suicide Prevention) are preparing for World Suicide Prevention Day by encouraging everyone to light a candle near a window at 8pm tonight. They have also created e-cards/postcards in 62 different languages for people to send to friends, families, colleagues and loved ones so they can share their support and information about suicide and World Suicide Prevention Day. To download these e-cards, please click here.